1105 W Broad St, Falls Church, VA 22046 | Mon - Fri: 7:30am-5pm | Sat: 8am - Noon	Your Friendly Neighborhood Garage. “Smokey’s is great – I take all my cars here for service. they are personable, reasonable and quoted me far lower prices that other places to do the same type of work. fully recommend this locally owned business with moral fiber.” – Julie F.
“My go-to for car repairs. Always diligent and helpful.” – Tommy D.
“I find the team at Smokey’s very reliable and honest to work with. They do the work that is needed and don’t overcharge or try to find other things wrong that need to be repaired. I’ve been using them for all my routine maintenance for over 6 years.” – Leo M.
“They are honest and will not make you do things you do not need, or overcharge for parts or labor. They give thoughtful advice. 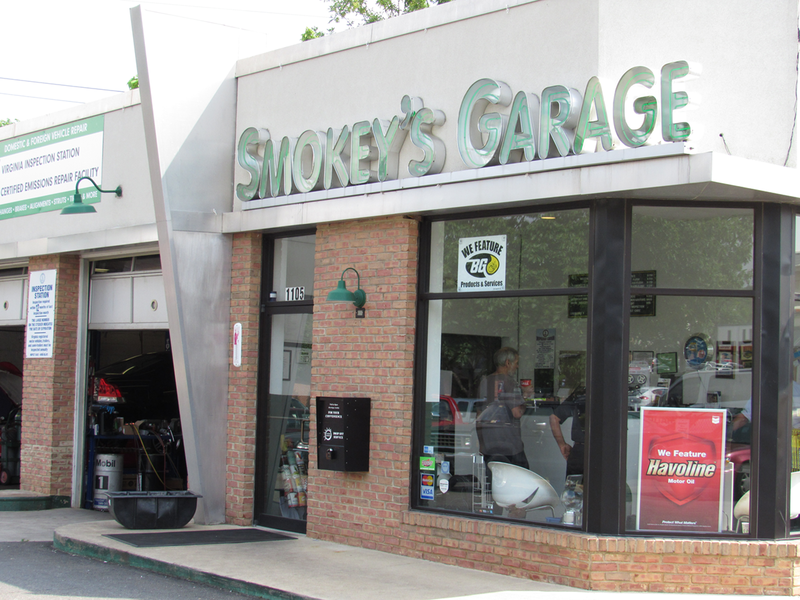 Far better than your average car mechanic.” – Dmitri M.
Smokey’s Garage is located just off the Beltway and Route 66 in the heart of Falls Church. 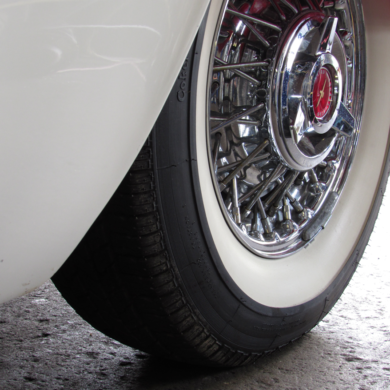 With a combined fifty years of experience in the Automotive Industry, we specialize in all makes and models, with most parts available in the same day. 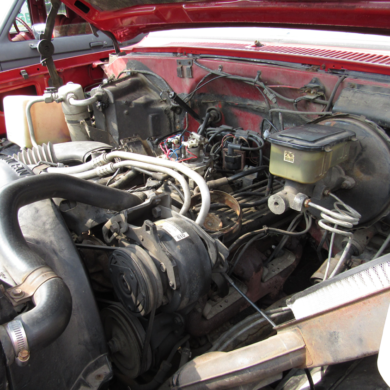 Keeping your car or truck running the way it was built to run, is our priority, and your satisfaction is our goal. We look forward to meeting you, and getting to know you, and your vehicle. Smokey’s is YOUR neighborhood shop, always there to help you, by providing personal service, Making the repair correct the first time, at a price that is aligned with our economic time is our pledge. Receiving Dealer quality work at a fraction of the price is what you get at Smokey’s. We are a family owned business with a strong commitment to our community; we have sponsored the local Little League program and the Falls Church Football program, and will continue to do so in the upcoming years. <br /> We are “that place” a place you can feel comfortable to send your children when they become of age to drive. Always meeting and exceeding your expectations, delivering your vehicle back to you clean and running with the dependability you expect. 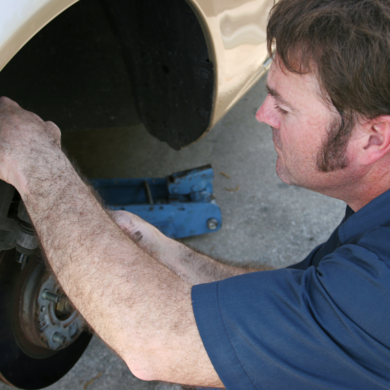 Our Technicians are ASE certified and are Virginia State certified for both safety and emission inspections. We look forward to providing our services to you.